President Jacob Zuma's 12th Cabinet reshuffle since he came into office in 2009 has left many unanswered questions about the reasons for his new appointments. One such a question is why presidential hopeful Nkosazana Dlamini-Zuma was left out of the new Cabinet, after speculation that she would be given a portfolio to bolster her presidential campaign. Political analyst Prof Richard Calland says that while the omission may come as a surprise, it could be for very strategic reasons. "I've always wondered about that because while a position as Cabinet minister gives you plenty of resources, it does tie your hands somewhat as you have duties to fulfil. She has to be out on the stump to campaign for the presidency at the moment. I believe making her an MP was therefore much more about giving her a parliamentary salary as resources to contribute to her campaign," he says. Political analyst and former ANC MP Melanie Verwoerd agrees. 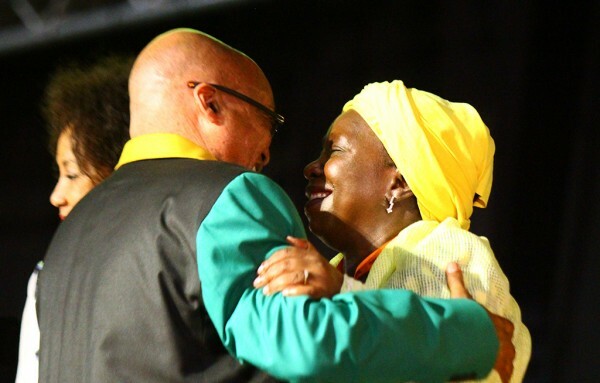 "It could be that Zuma is no longer that convinced about Dlamini-Zuma, but it is more likely that they don't want her to be too busy at a time when she has to be campaigning for the ANC presidency," she says. According to her the reshuffle of David Mahlobo, currently Minister of State Security, to the Energy Ministry should tell us Zuma is still very much at work getting the nuclear deal pushed through. "Zuma is not a man who panics. He knows the nuclear deal won't happen in the next two years, so he is putting people in place to make it happen in the long term," she says. Calland says Mahlobo's appointment indicates a certain degree of frustration from Zuma about the deal's hold up. "We've now had a series of energy ministers over the course of Zuma's presidency. We currently have Mmamoloko Kubayi, who is clearly a Zuma supporter, but hasn’t been able to deliver on the nuclear deal. Before her there was Tina Joemat-Pettersson, who started to hold the line in terms of the rule of law and correct prosedures for the nuclear deal to be passed," says Calland. "This clearly did not go down well with Zuma. Now we have a guy who’s a hatchet man for the president. Mahlobo has alleged close ties to Russia in the security and intelligence services. One cannot help but draw certain conclusions about this. The fact is, we will have to watch this ministry like a hawk." The reshuffle of Communications Minister Ayanda Dlodlo to Home Affairs comes on the same day Zuma announced a new SABC board. This is no coincidence, says political analyst Mpumelelo Mkhabela. "I don’t think Dlodlo agreed with Zuma on the matter of the SABC board. She didn’t want to do what was necessary to protect Hlaudi Motsoeneng and probably didn’t endorse Zuma's candidates for the new SABC board. That’s why we had to wait so long for him to announce the new board. He was scrambling. He ended up finding someone suitable to chair the board in Bungumusa Makhatini, who is currently chair of first lady Bongi Ngema-Zuma’s foundation," Mkhabela says. "It’s obvious that we have a president who doesn’t know how to govern a country in the interest of the citizens, but only does what suits him and what will ensure his personal survival. We will still have to wait and see what his personal survival means for each of portfolio." Minister Blade Nzimande is the only minister to be removed from Cabinet and the Ministry of Higher Education and Training. "Nzimande has recently spoken out against Zume but so too have other ministers like Lindiwe Sisulu," says Calland. "So that can’t be the only reason for his removal. One suspects that the report on higher education fees, which is political dynamite, might have something to do with it. In that case it may be a policy consideration that led to his removal." According to Verwoerd, removing Nzimande shows Zuma is not afraid to agitate the alliance partners, showing that he is still in control. "With Blade it was a case of divide and rule. The SACP has taken a position against Zuma but he has singled out Blade to show the alliance that he still has the power, and to weaken the campaign against him."